These rare views of our home planet - recorded from hundreds, thousands, millions, or even billions of miles away, often with outdated cameras - are rarely as crisp or colorful as the smartphone images we snap today on terra firma. 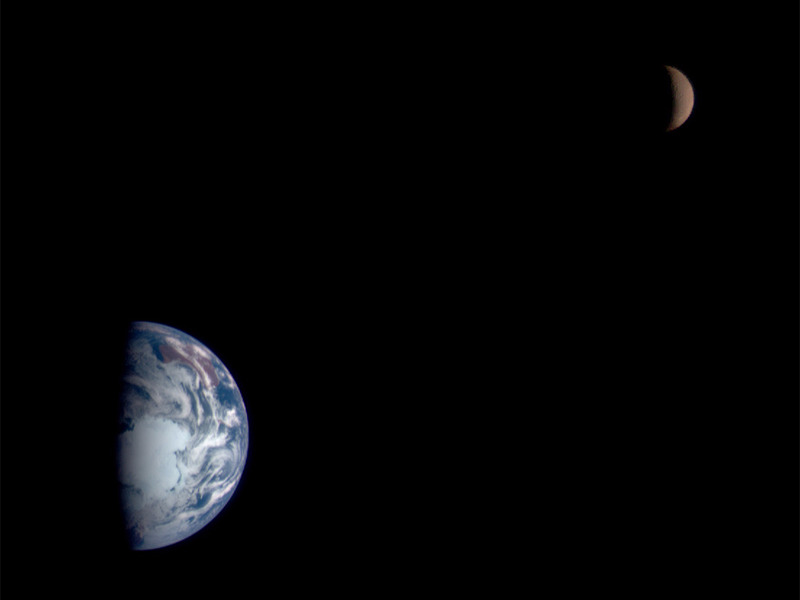 Photos of Earth from space not only help scientists understand how a habitable world looks from afar, helping the search to find more cozy planets, but also remind us of a humbling and chilling truth: we live on a tiny, fragile rock that is hopelessly lost in the cosmic void. 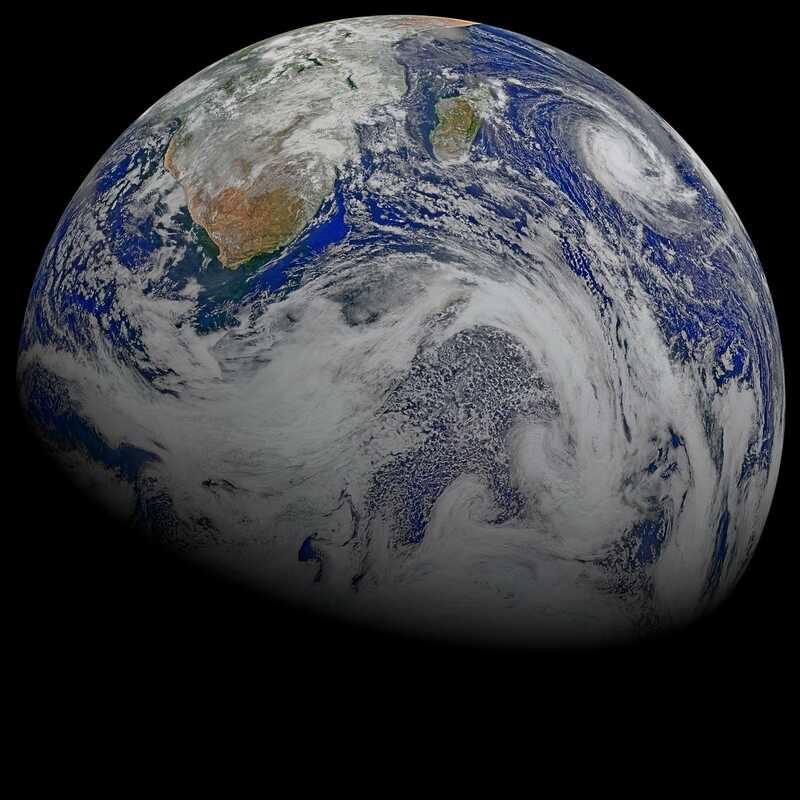 Orbiting from a million miles (1.6 million km) away, NASA's DSCOVR satellite always views this sunlit half of our planet. This allowed it to take 13 images of the Moon's shadow as it raced across Earth during the total solar eclipse of 2016. Together, they make up one of the most complete views ever of the event. To rendezvous with comet 67P/Churyumov-Gerasimenko in 2007 - which it will crash into (on 30 September 2016) - the Rosetta spacecraft needed a speed boost with the help of Earth's gravity. This photo it took of Earth shows the South Pole and Antarctica illuminated by the Sun. 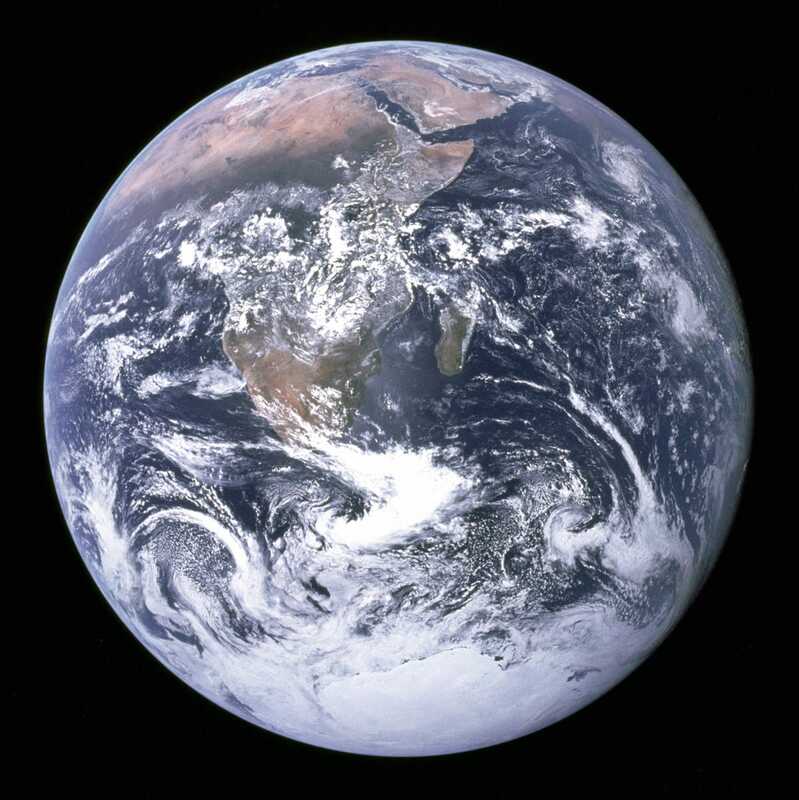 The crew of the last crewed lunar mission, Apollo 17, took this 'blue marble' photo of Earth - one of the most-reproduced images in history (though no one is certain which astronaut took it) - from 28,000 miles (45,000 km) away on their trip to the Moon. Africa is visible at the top left of the image, and Antarctica on the bottom. A view of Africa taken from 98,000 miles (158,000 km) away from Earth, while astronauts Neil Armstrong, Michael Collins, and Buzz Aldrin were on their way to the Moon. The Moon - a cold, airless ball of rock 50 times smaller than Earth - is our largest and closest celestial friend. NASA's famous 'Earthrise' image was taken as Apollo 8 astronauts Frank Borman, Jim Lovell, and William Anders swung around the Moon. 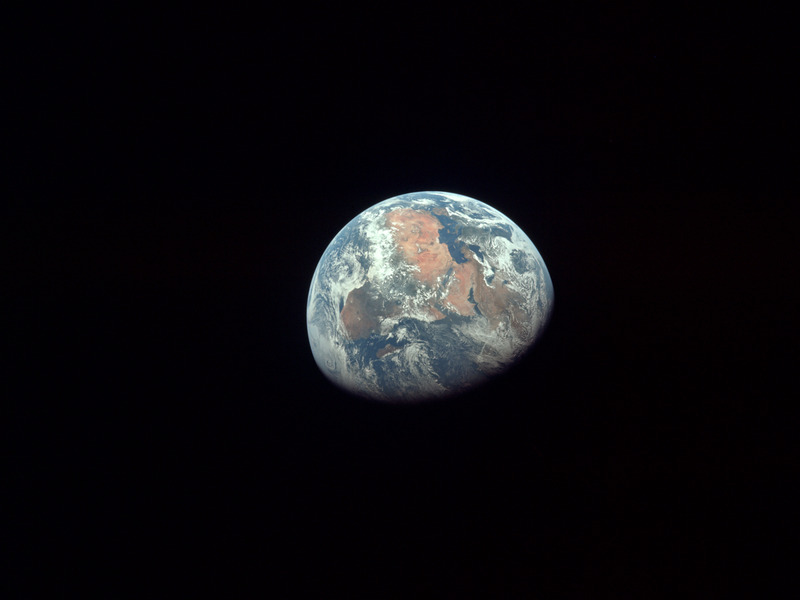 During a broadcast with Earth, Lovell said: "The vast loneliness is awe-inspiring and it makes you realise just what you have back there on Earth." Launched by NASA in 2009, LRO normally stares down at the cratered surface of the Moon - but took a moment to snap this modern-day 'Earthrise' composite photo. Lunar Orbiter 1 took this photo while scouting for places astronauts might land on the Moon. Because 1960s technology couldn't access the full depth of image data that NASA had recorded on analog tapes, however, the Lunar Orbiter Image Recovery Project recently recovered this version of the famous image. The full-size version is large enough to print as a billboard. 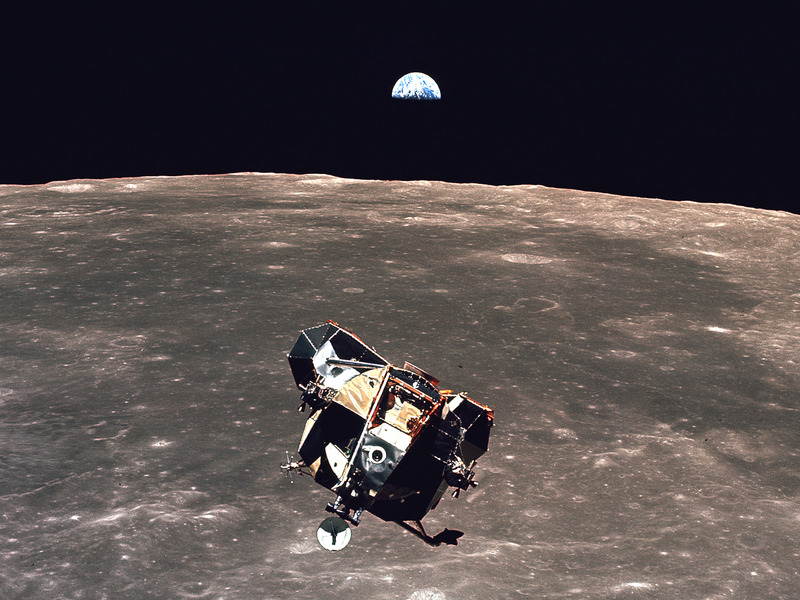 The Eagle lunar module of Apollo 11 as it returns from the surface of the Moon. ts next Moon mission: to return a lunar soil sample in 2017; if it succeeds, it will be the first collected since the last Apollo missions in the 1970s. The astronauts Thomas Stafford, John Young, and Eugene Cernan took this video during Apollo 10, the second crewed mission to the Moon - what was essentially a dry run for Apollo 11 (minus the landing). 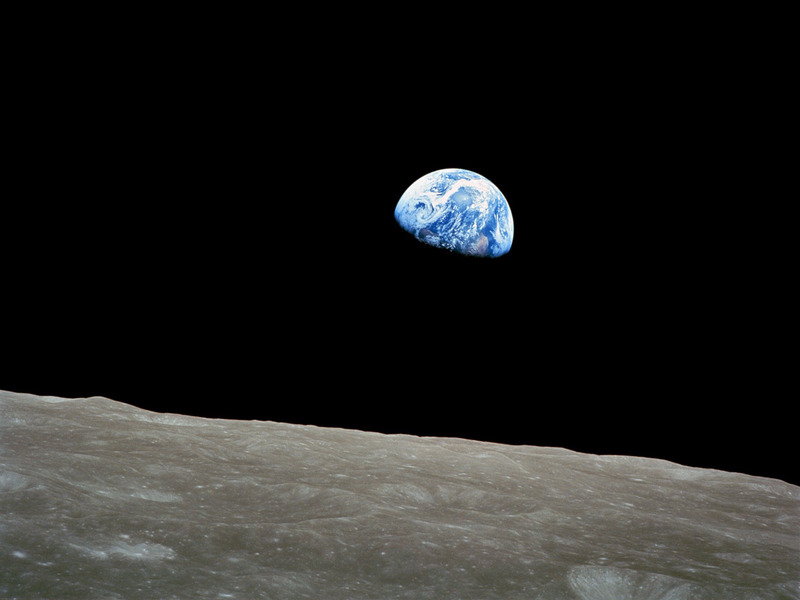 Because the same side of the Moon always faces our planet, such 'Earthrise' views only happen when a spacecraft is moving. The Clementine mission was launched on January 25, 1994, as part of a joint NASA-strategic defense initiative. 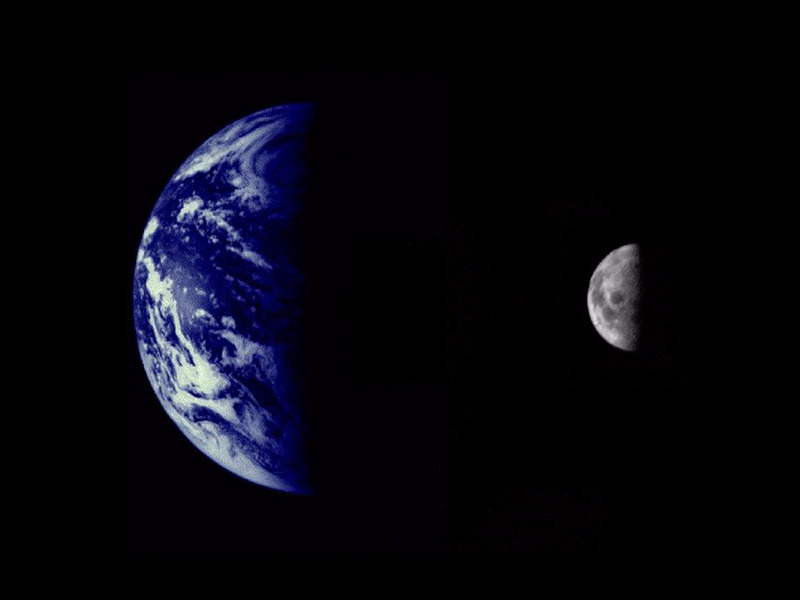 Before spinning wildly out of control on 7 May 1994, it took this composite photo of Earth, as seen across the northern pole of the Moon. On its way to study Jupiter and its Moons, NASA's Galileo spacecraft got its second speed boost from Earth's gravity. About a week after that maneuver it took this composite image from 3.9 million miles (6.3 million km) away. The Moon, which is about one-third as bright as Earth, is closer to the viewer in the foreground. 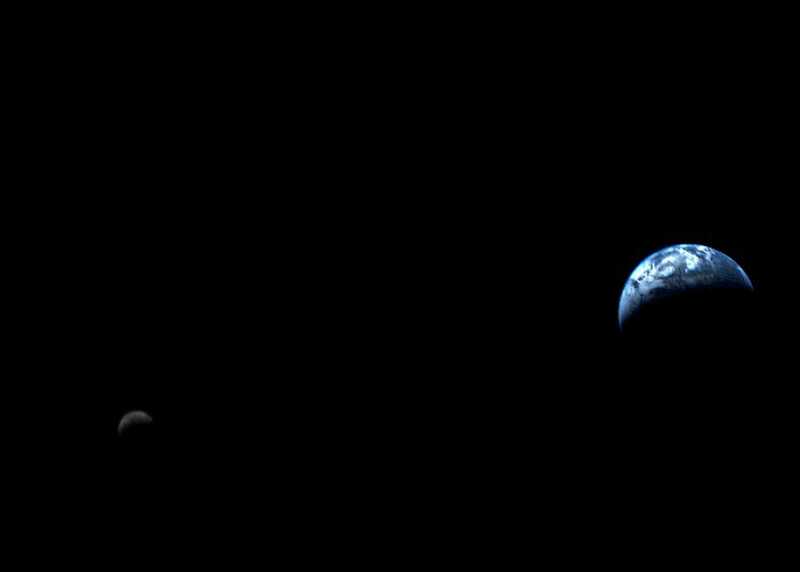 NASA's asteroid-bound NEAR spacecraft took this two-part image of Earth and the Moon from about 250,000 miles (402,000 km). Antarctica is visible in the south pole. NEAR eventually reached Asteroid 433 Eros, began orbiting the space rock, and deployed its Shoemaker lander spacecraft in 2001. 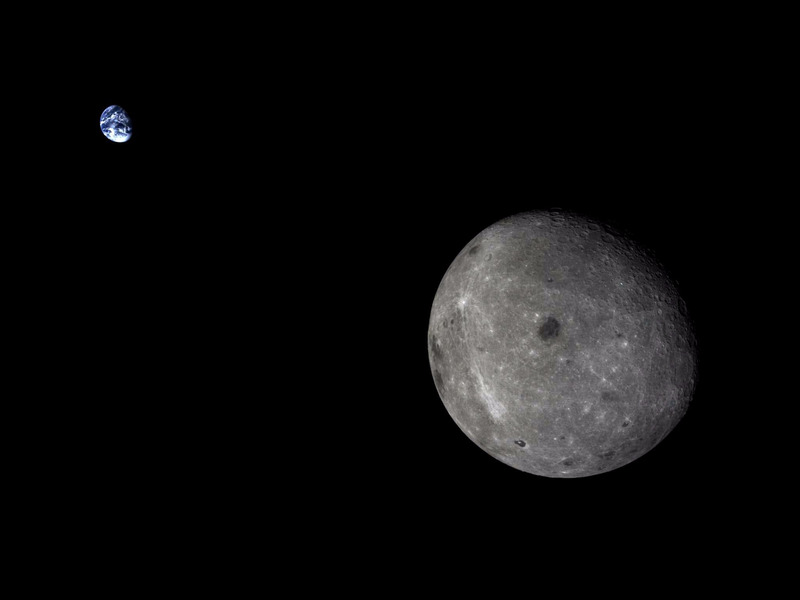 Most photos of Earth and the Moon are (artful) cut-and-paste composites, since they are so far away from one another. 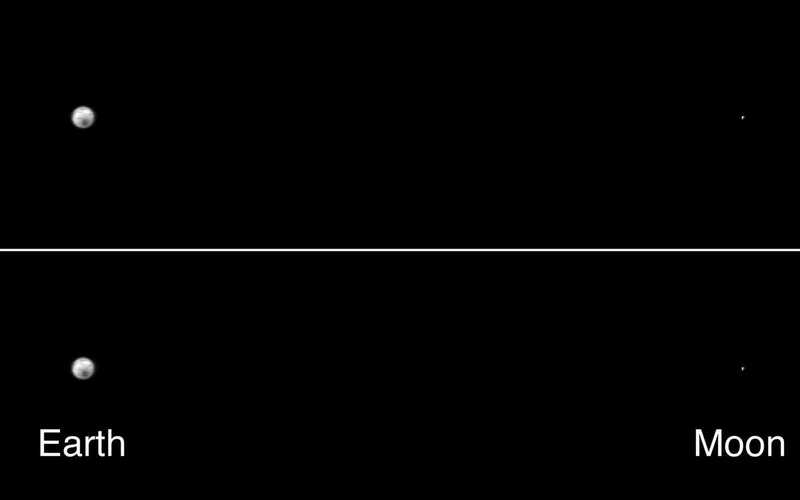 However, this is the first photo of both worlds ever taken in a single frame, when Voyager 1 was 7.25 million miles (11.66 million km) away - en route to its 'grand tour' of the solar system. 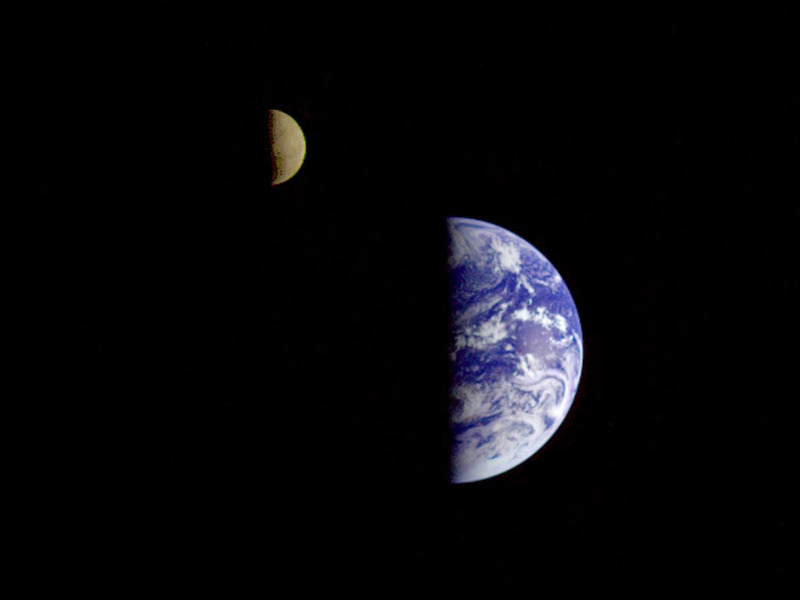 Only by traveling hundreds of thousands or millions of miles away, then turning around, can we truly appreciate what the 239,000 miles (385,000 km) between two worlds actually looks like. 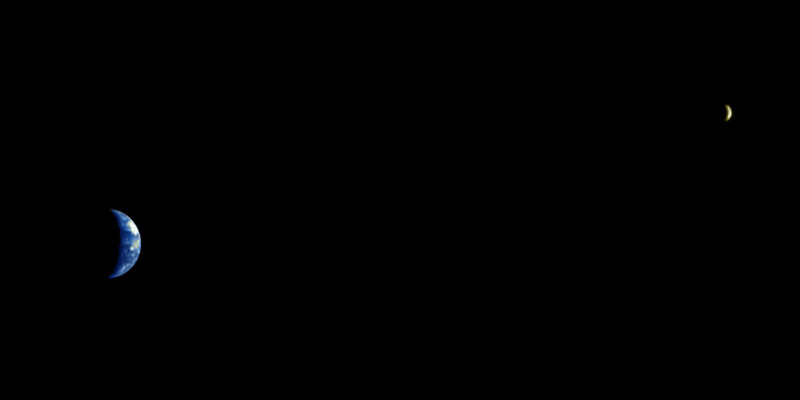 This infrared photo, taken from 2.2 million miles (3.5 million km) away, reveals the vast distance between Earth and the Moon - 239,000 miles (385,000 km), or about 30 diameters of Earth stacked together. The Mars Odyssey spacecraft recorded the image on its way to the Red Planet. 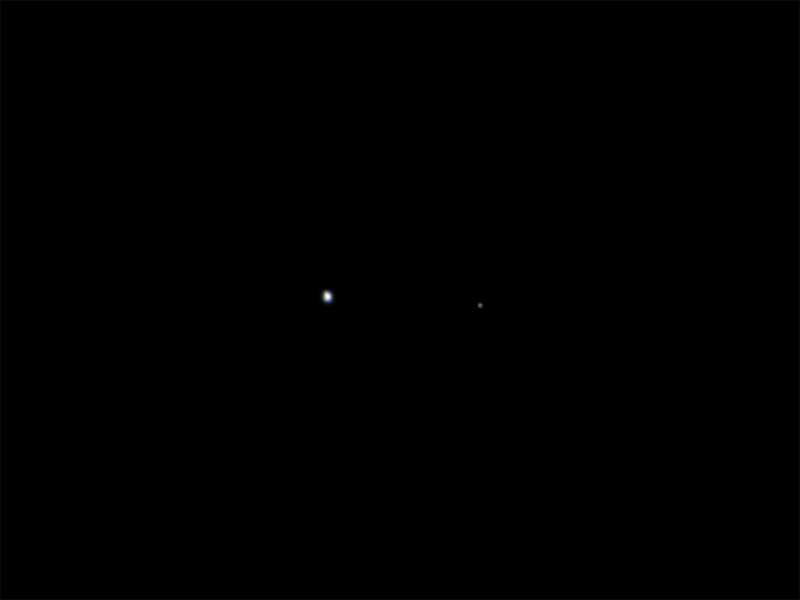 The Earth and the Moon look infinitesimal from 6 million miles (9.6 million km) away in this Juno spacecraft photo, taken on 26 August 2011. Speed-boosting gravity assists are a popular time for adventurous spacecraft to photograph the Earth and its Moon. NASA's Juno spacecraft took this shot (and many others, which were made into a fantastic animation) during its nearly five-year-long trip to Jupiter, where it is documenting the gas giant in ways scientists had previously only dreamed of. From the surface of Mars, it could just be another 'moving star' in the night sky that puzzled early astronomers. 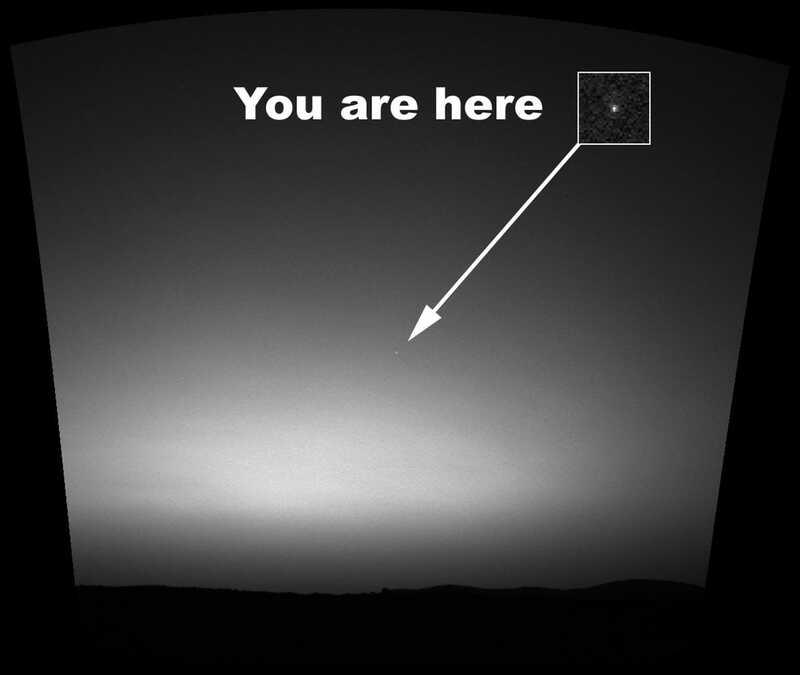 About 2 months after a textbook landing on Mars, the Spirit rover gazed up at the sky to look for Earth - and found it as a tiny dot. NASA says this "is the first image ever taken of Earth from the surface of a planet beyond the Moon". In this shot, Earth is roughly 161 million miles (259 million km) away. NASA's nuclear-powered Cassini spacecraft took 165 different photos in the shadow of Saturn to make this backlit mosaic of the gas giant. Almost by accident, Earth is hiding in the image, off to the left. Although it looks like a bright speck in Saturn's rings, the world is actually 928 million miles (1493 million km) away. 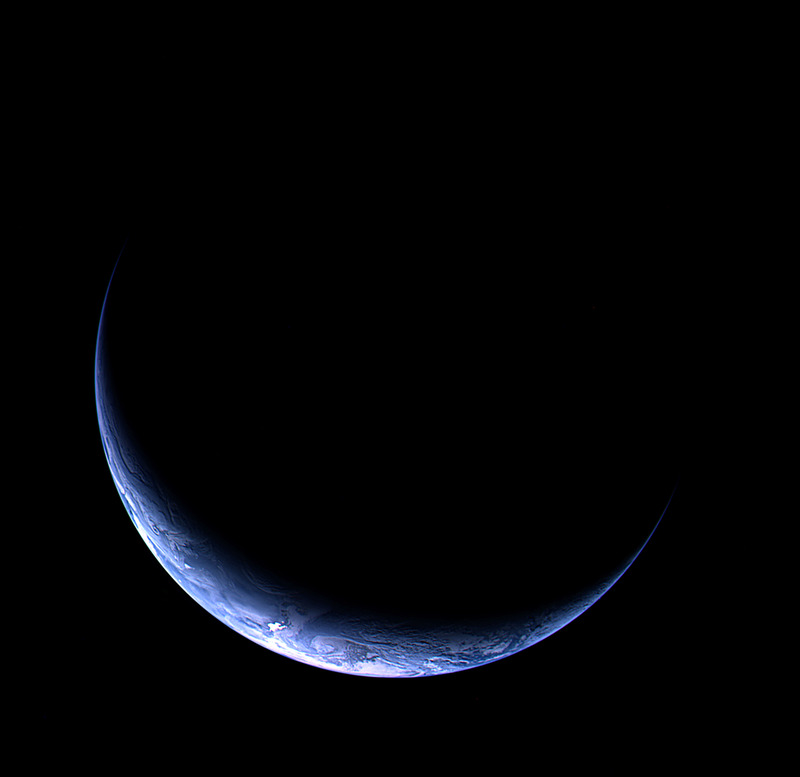 Billions of miles from Earth, as Carl Sagan famously quipped, our world is just a "pale blue dot", a small and solitary orb where all of our triumphs and tragedies play out. 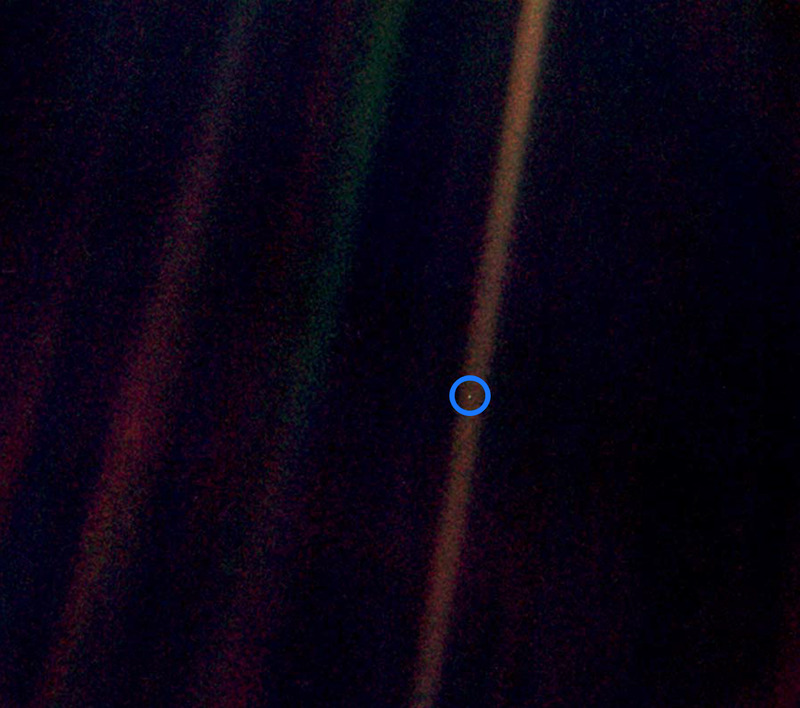 This photo of Earth - the 'pale blue dot'- is just one frame of a 'solar system portrait' that Voyager 1 took at roughly 4 billion miles (6.4 billion km) away from home. "We succeeded in taking that picture, and, if you look at it, you see a dot. That's here. That's home. That's us. On it, everyone you ever heard of, every human being who ever lived, lived out their lives. The aggregate of all our joys and sufferings, thousands of confident religions, ideologies and economic doctrines, every hunter and forager, every hero and coward, every creator and destroyer of civilisations, every king and peasant, every young couple in love, every hopeful child, every mother and father, every inventor and explorer, every teacher of morals, every corrupt politician, every superstar, every supreme leader, every saint and sinner in the history of our species, lived there – on a mote of dust, suspended in a sunbeam. Think of the endless cruelties visited by the inhabitants of one corner of the dot on scarcely distinguishable inhabitants of some other corner of the dot. How frequent their misunderstandings, how eager they are to kill one another, how fervent their hatreds. To my mind, there is perhaps no better demonstration of the folly of human conceits than this distant image of our tiny world. To me, it underscores our responsibility to deal more kindly and compassionately with one another and to preserve and cherish that pale blue dot, the only home we've ever known." Sagan's message is immutable: there is only one Earth, and so we must do everything in our power to protect it - and mostly from ourselves. 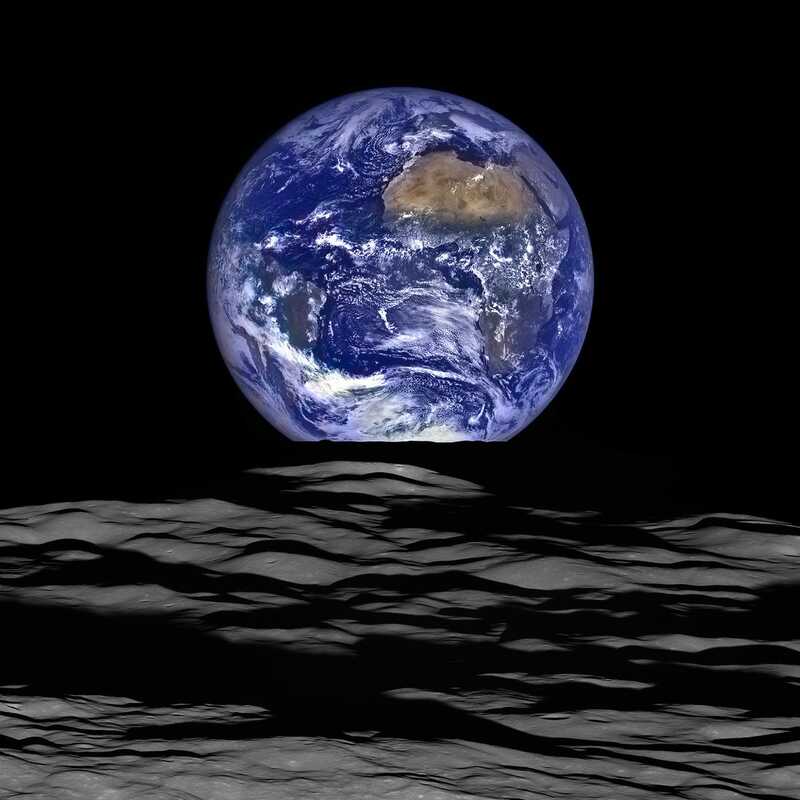 Japan's Moon-orbiting Selenological and Engineering Explorer (SELENE) spacecraft, also known as Kaguya, took this video of Earth rising above the Moon - sped up 1,000 percent - on the 40th anniversary of NASA's Apollo 8 'Earthrise' photo.